What could be better than a hand-picked recommendation from someone in the know? Every Wednesday the XOXOAD team likes to find out what some of its favorite authors are reading. 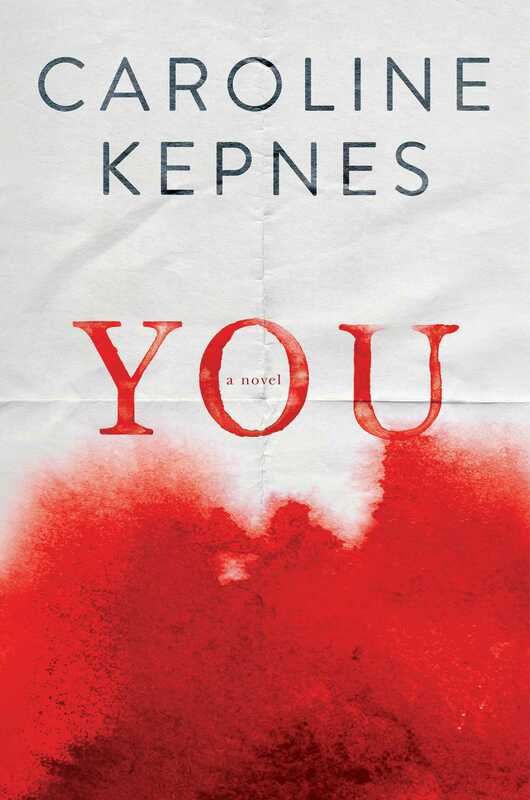 Today we asked Caroline Kepnes, author this year’s most perversely clever and dangerously twisted thriller, You, to tell us! I have been deep cleaning, foraging through boxes. So I have been cringe-reading journal entries from my college days. I recover from this process by spending quality time with John Dufresne’s immensely pleasurable collection, Johnny Too Bad. 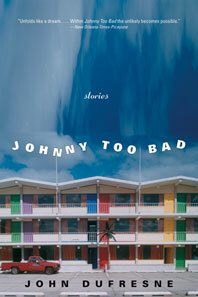 I was drawn to the cover; I can smell a book about Florida a mile away. You know there will be murder, intrigue and pastels. Dufresne’s stories have so much atmosphere, it’s like the pages are emitting heat. It’s been the perfect book for this heat wave that’s taken over LA, too. Around this time of year, I always read some Charles Bukowski. Back-to-school season makes me want to revisit his anti-establishment ire. The Captain is Out to Lunch and the Sailors Have Taken Over the Ship combines his diary entries with illustrations by Robert Crumb. Bukowski is so blunt. I love blunt. He writes about his toenails with such clarity. I am also excited because sociologist Kjerstin Gruys’s Mirror, Mirror Off the Wall: How I Learned to Love My Body by Not Looking at it For a Year will arrive in the mail any day now. Suspenseful, structurally smart nonfiction always dazzles me. 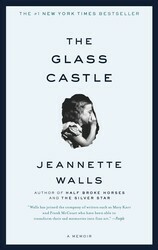 Jeannette Walls’s The Glass Castle and Nick Reding’s Methland are two of my favorites. I can feel myself into going into list-every-book-I-ever-read mode so I will stop now, with one more mention, Lucinda Rosenfeld’s What She Saw…. I need to read that book again after I finish organizing my decaying journals. A collection of stories from a writer described as William Faulkner crossed with John Irving, uncovering the magic within the mundane. A book length collaboration between two underground legends, Charles Bukowski and Robert Crumb. 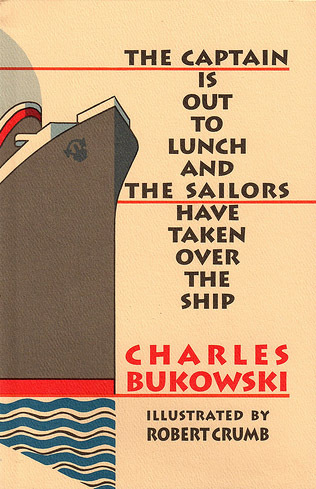 Bukowski's last journals candidly and humorously reveal the events in the writer's life as death draws inexorably nearer. A story of triumph against all odds, and a tender, moving tale of unconditional love in a deeply flawed family. 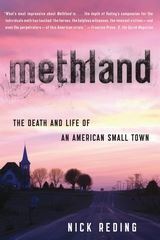 This prizewinning and bestselling book tells the heroic story of the small town of Oelwein, Iowa–and, through it, the story of drug abuse in Rural America. A wry, wickedly funny look at one woman's search for love, from her first crush in 5th grade all the way into adulthood...Phoebe survives the trenches of Guyland for all of us!